The People’s Republic is already the biggest car market. Now the likes of Tesla and parts maker Wanxiang are betting on a boom in electric vehicles. Though infrastructure lags behind the West, a dense urban population and strong central planning could give the market a jolt. 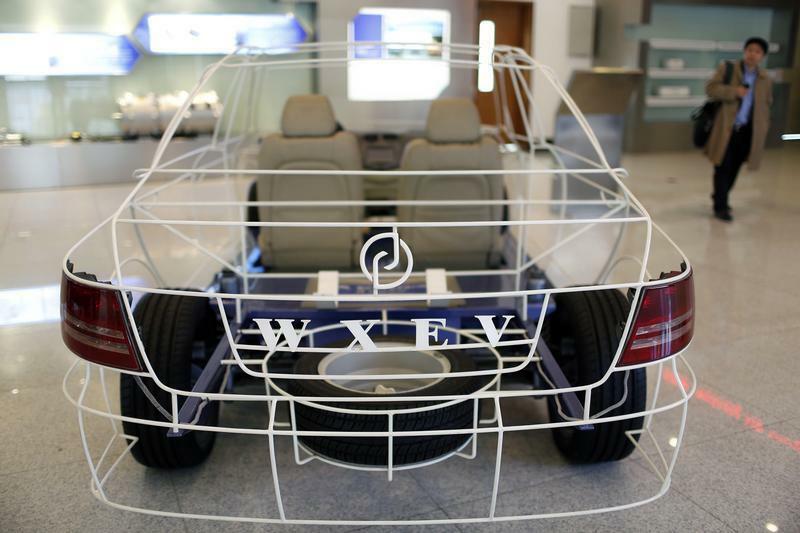 A structure model of an electric automobile is displayed inside an exhibition room of Wanxiang electric car factory in Hangzhou, Zhejiang province, January 22, 2014. Breakingviews TV: China carmakers - prepare to be electrified? China’s largest auto parts company, Wanxiang Group, won a U.S. bankruptcy auction for the remains of electric car maker Fisker on Feb. 14. The group bid $149.2 million, a combination of $126.2 million cash, $8 million in assumed liabilities, and the remainder as equity in a Wanxiang-chosen affiliate that will hold the assets. Wanxiang previously bought battery-maker A123 Systems through another bankruptcy auction last year. A123 was the main supplier of lithium-ion batteries for Fisker’s cars. Wanxiang’s offer beat a rival bid by Hong Kong billionaire and Fisker investor Richard Li. Rival Tesla Motors said on Jan. 24 it expects Chinese buyers to make up 30 to 35 percent of its 2014 global sales. Last year the luxury electric carmaker sold some 22,500 vehicles, and hopes to double that in 2014.